There are some items to consider when you apply for a mortgage loan as this will affect your lifestyle and your finances for many years to come. The right mortgage package will meet your needs and provide you with the lowest mortgage rates available. However, a poorly chosen can bring years of hardship and may even cost you your home. That's is why it's important to find a mortgage loan that fits your income and goals. Your current and future income affect whether you'll be financially healthy as a homeowner. To ensure that your home purchase is set for success, make sure you're pre-approved early in the process. Mortgage pre-approval is an agreement made between you and your lender that states that you are eligible to receive a specific amount of money for the payment of a home in the near future. Pre-approval isn't based on the value of a home you're considering purchasing. In fact, pre-approval is entirely unrelated to your real estate goals and plans. Rather, it's based on an analysis by a loan officer that considers your credit score as well as how much you are interested in borrowing. The lender will pull your credit report and analyze your overall financial situation before determining how much money you are qualified to borrow. Your lender will then provide you with an official pre-qualification letter that certifies your position as a pre-qualified borrower. This letter is an official document that guarantees the specified from the lender as long as all other elements of the loan fall into place correctly. Why do I need a pre-approval? There are several reasons why mortgage pre-approval is necessary. If you're a first time home buyer, it's may be your only bargaining chip for negotiating with the sellers. A seller may not be interested in considering your offer if they think you're not able to secure financing. However, if you present the seller with an official document that guarantees financing, you'll be able to negotiate more effectively. 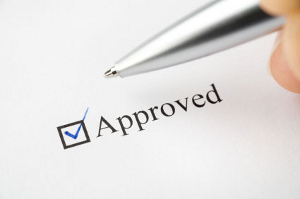 Pre-approval is also valuable knowing how much funding you're able to secure. If you start by looking for a home that meets your needs without first determining whether you can get the financing for it, you may be wasting your time. The most valuable part of pre-approval, though, is that it keeps you within your budget. During the pre-approval process, your lender reveals the size of the mortgage you can handle. By carefully considering this point when buying a home, you set yourself up for success. Get pre-approved before you start looking for homes. It will make your home buying experience much better.